The Spanish call it plancha. Argentineans call it chapa. I call it one of the best ways to marry the searing and crusting capabilities of a cast iron skillet with the intense heat and smoke flavor produced by your grill. A plancha is a sort of griddle—a thick, flat slab of cast iron you place on your grill for searing small or delicate foods like asparagus stalks, bay scallops, shrimp, fragile fish fillets, chicken livers, and yes, even diced poultry and thin steaks. 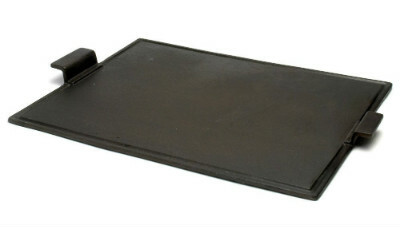 The plancha gives you a different sort of sear and crust than you get with straight grilling. Sure, you can cook with a plancha on your stove. But the process gets a lot more interesting when you do it on your grill. Simply toss a handful of hardwood chips on the coals or in your grill’s smoker box half way through the cooking. You get the searing benefits of the plancha and the wood smoke produced by the grill. Set up your grill for indirect grilling and preheat to medium-high (400 degrees). Place the plancha in the center and preheat it to 400 degrees, too. To check the temperature, use our new point-and-shoot Infrared Thermometer. Or sprinkle a few drops of water on the plancha. If they evaporate in 2 to 3 seconds, you’re ready to go. 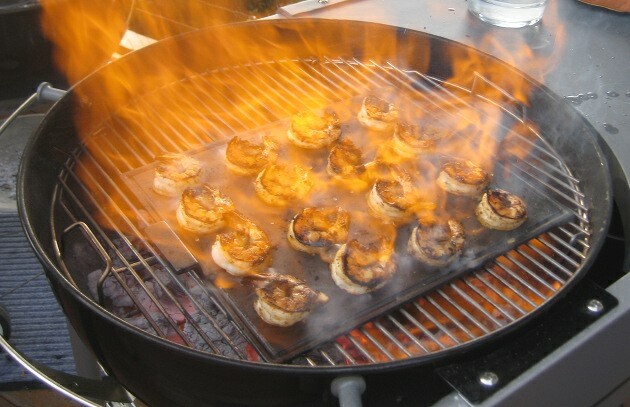 Note: On some grills you may need to light the burner or rake the embers directly under the plancha, too. Now season the shrimp with your favorite barbecue rub (I’m partial to Best of Barbecue All-Purpose Rub or Mediterranean Herb Rub). Drizzle with a spoonful of melted butter or olive oil and toss to coat each piece. Pour 1 to 2 tablespoons olive or vegetable oil over the plancha and spread it evenly over the surface with a spatula. Arrange the shellfish on top and cook until the bottoms are seared and browned, 1 to 2 minutes, then turn over with a spatula. Now toss 1-1/2 cups unsoaked hardwood chips, like our new Best of Barbecue Cherry Wood Chips, on the coals (or place in the smoker box of your gas grill). Lower the grill lid to hold in the smoke and continue cooking for 1 to 2 minutes or until the shellfish is cooked and smoke-flavored. Turn once more with a spatula and you’re ready to serve. Another advantage: you can douse the shellfish with a shot of brandy, rum, or ouzo (light it with butane match) to flambé it at the end. For tips on seasoning, cleaning, and maintaining your plancha, click here. The Best of Barbecue Plancha. 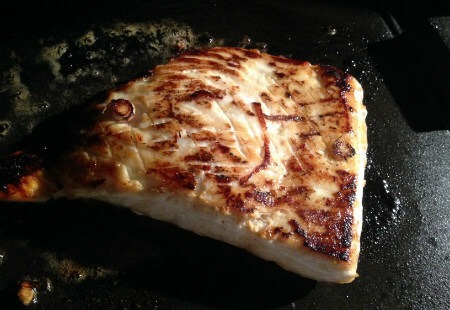 Because sometimes a slab of cast iron can do an even better job than a conventional grill grate.